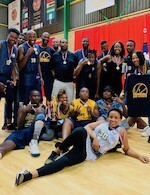 Egoli Magic defended BNL title. They beat Tshwane in the championship game at the Wembley Stadium tonight. Egoli recorded a 22:11 lead ten minutes into the game. The Suns held their opponents to just 5 points in the second frame and pulled within 5 points at halftime 22:27. Tshwane pulled closer in the third quarter. They entered the fourth frame down by just 3 points. 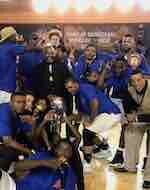 But Egoli Magic fired 23 points in the final stanza and rallied to a 62:47 victory at the end.